Martin Luther King, Jr’s facade appears on each crossing on MLK Jr Blvd. Park Hill’s giant footprint to the east of City Park is actually divided into three “official” neighborhoods according to the City of Denver. For this walk we took on two of the three, North Park Hill and Northeast Park Hill. 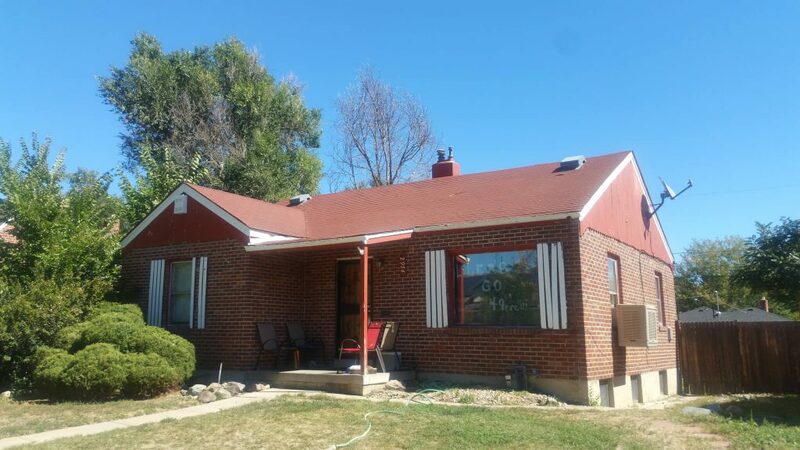 From small bungalows to fancy cottages, the architecture throughout Park Hill varies. Interestingly, Northeast Park Hill is directly north of North Park Hill with the same east-west boundaries of Colorado and Quebec. Northeast Park Hill extends above I70 to 56th Ave, stopping at North Park Hill’s northern boundary of Martin Luther King, Jr, Blvd. 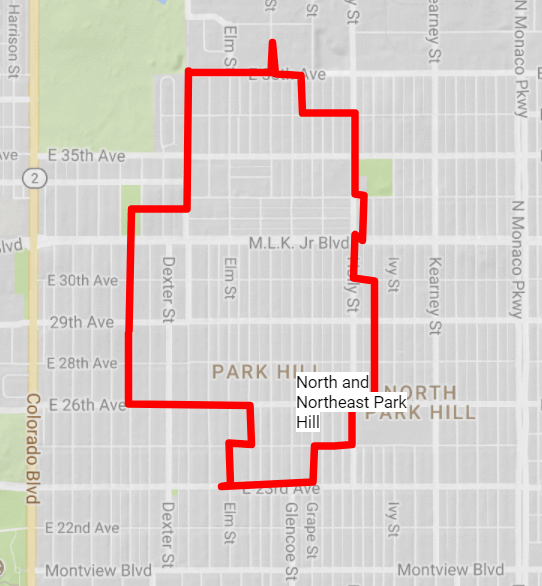 North Park Hill then continues south to E 23rd Ave.
It’s a big neighborhood with a big story. Fashioned out of the prairies and farms to the east of City Park, the neighborhood grew northerly and eventually took over the original Lowry Field. The stories of the Barons falls more south of 23rd, so we focused our walk on the segregation story of the mid-century 1900s. The schools in Park Hill, particularly Barrett and Park Hill Elementary, were the center of a segregation battle that started with Park Hill plaintiffs battling Denver Public Schools. With a case that rose up to the Supreme Court, DPS was eventually told to enforce bussing in an attempt to desegregate Denver schools. This decision led the way to national bussing changes in every school district in the country. Our walk (see route below) took us past some of the relevant points of interest to this decision, while also enjoying the diversity and community of Park Hill. We frequently referenced The Park Hill Neighborhood by Thomas Noel and William Hansen to guide us in our turns. Start at 3800 Dahlia Street. Walk east on 38th Ave, stopping in Commonwealth Coffee Roasters for a quick cuppa or a sniff of the roasted coffee. Turn left (north) on Forest and stop in at Mountain Fresh Market to grab a snack. Once you’re caffeinated and filled, head east on E 38th Ave to Hudson, turn right. Continue on Hudson to 37th Ave, then take a right on Holly. Pass the Hiawatha Davis Rec Center (named after a former City Council member and activist in the black community), taking a left on 33rd Ave.
Take a right on Ivanhoe to MLK, Jr. Turn right to cross over MLK, Jr at Holly. 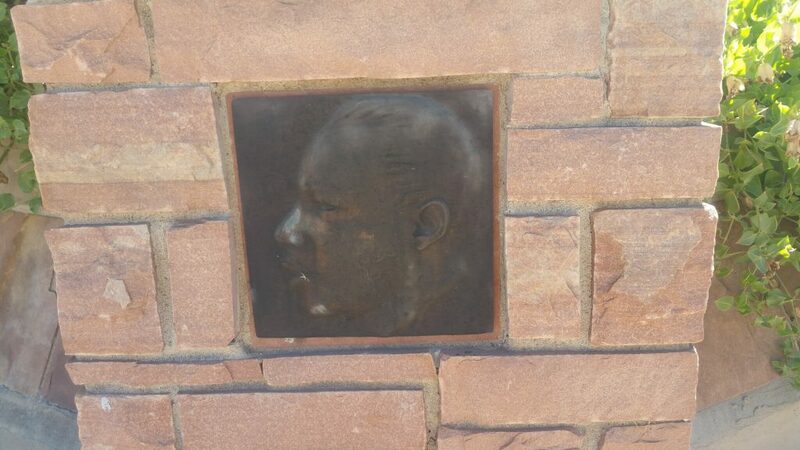 In the median, be sure to notice the brass facades of MLK, Jr in the brick planters. Continue down Holly to 30th, take a left. Take a right on Ivanhoe. As you approach Smiley campus, you’ll be walking the block where the head plaintiff in the DPS desegregation/bussing case’s home was bombed. At E 26th, turn right. 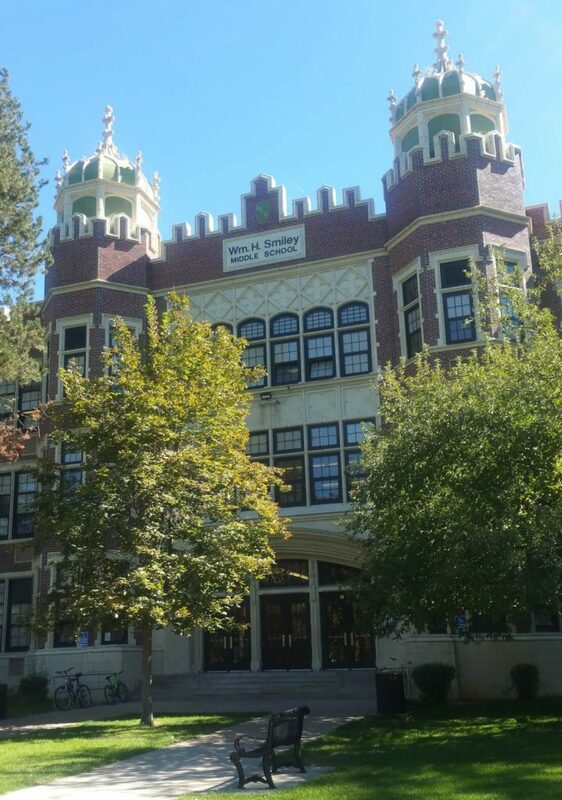 The Smiley campus, first named Holly Junior High and then Park Hill Junior High, became the first Junior High in Denver to integrate. The campus is named after William Smiley, a popular DPS Superintendent from 1912-1924. At Holly, go south. Notice the green terra-cotta tiles capping the domes of the school. At E 25th Ave, take a right. 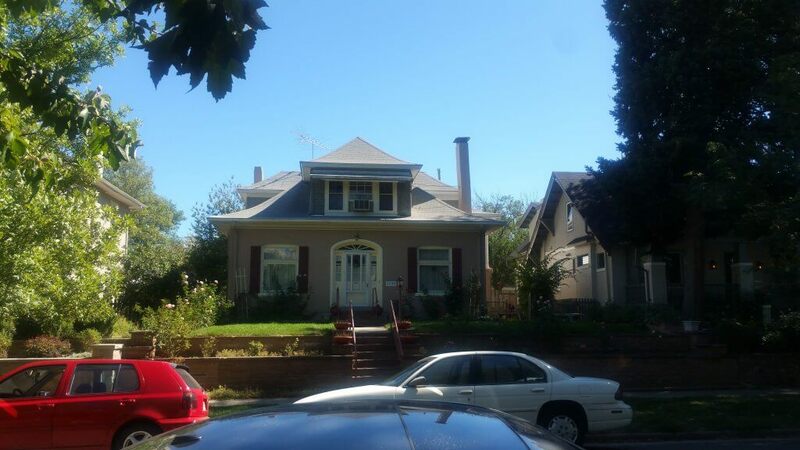 Take a left on Grape Street and then a right on E 23rd Ave. Cross Elm, and notice the home at 4935 E 23rd Ave, the Johnson/Turnbull house. Built in 1908, this Arts and Crafts home also provided materials for the owner’s daughter’s home just north on Elm at 2315. Johnson was President of a men’s furnishing business and Turnbull pioneered film-making animation here in Colorado. Go north on Elm. Take a right on E 25th Ave and then a left on Fairfax. Take a left on 26th, then a right on Clermont. Cross MLK, Jr, and enter the City of Axum Sister City Park. One of several Denver Sister City Parks, this park mirrors its sister in Axum, Ethiopia, birthplace of the Queen of Sheba. Exit the park to the east along E 33rd Ave, turning north (left) on Dahlia. 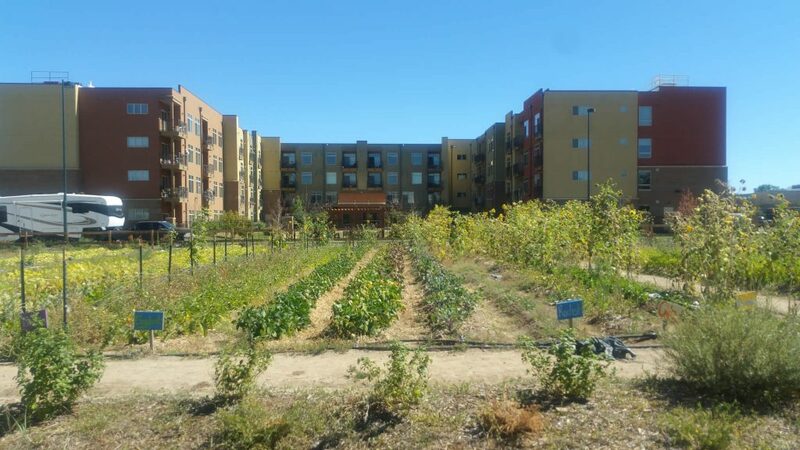 At the Dahlia Campus for Health and Well-Being – Mental Health Center of Denver, enter the gardens on the east side of the building and enjoy the community gardens and hydroponic fish tanks. Continue north on Dahlia to return back to where you started. Did you enjoy this walk? What was the best part? Post your comments below!